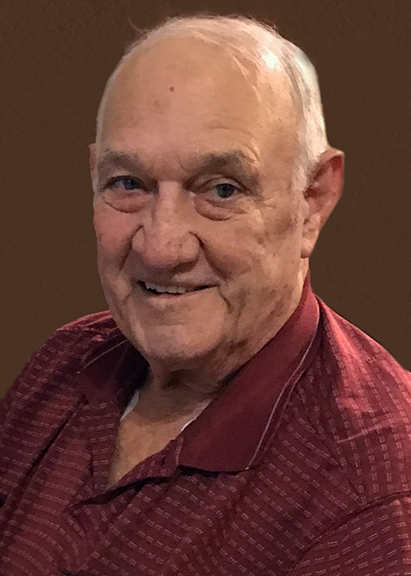 Tommy G. “T.G.” Benson, 84 of China, died Thursday, September 13, 2018, at Summer Place Nursing and Rehabilitation, Beaumont. He was born on July 21, 1934, to Willie Marie Amos Benson and Rexal T. Benson, in Greggton, and was a United States Army veteran having served in the Korean War. Survivors include his wife, Shirley Benson; sons, Blane Benson and Craig Benson and his wife, Dana, all of China; brother, Billy Benson of Algonac, Michigan; grandchildren, Tara Cook and her husband, Derek, of Nome; Ashley Bowling and her husband, Ryan, of Lumberton; Kayla Laird and her husband, Cory and Tyeler Benson and his wife, Delilah, all of China; and Brett Benson of Beaumont; and nine great-grandchildren. He is preceded in death by his son, T.A. Benson. A Rosary for Mr. Benson will be recited at 5:00 p.m., with a gathering of family and friends to follow until 7:00 p.m., Sunday, September 16, 2018, at Broussard’s, 1605 North Major Drive, Beaumont. His funeral service will be 11:00 a.m., Monday, September 17, 2018, at Broussard’s, with interment to follow at China Cemetery, China. Memorial contributions may be made to Our Lady of Sorrows Catholic Church, P.O. Box 38, China, Texas 77613. So sorry to learn of the loss of your husband, Dad, and Grandfather. My prayers and thoughts are with you. Shirley, Big hug and prayers to you at this most difficult time! May God give you strength in places you didn’t know you had it! Love you! So sorry for you and the families loss,Shirley.He will be missed.I imagine him,Sonny Merandino,Darvin Revia and Don Hawkins will have a great time together.I will miss him.He was a good man and a great friend. I'm so sorry for the loss of Mr. Tommy. He was a great man and will be missed. My prayers are going out to y'all. Shirley and family, I will always remember Tommy with a smile. He was a fun, kind man. My prayers are with you as you remember him with smiles and love. God bless all of you! Shirley, Blane, Craig and family...my deepest condolences on the loss of your husband/father. Sending prayers for comfort and peace. We've known Tommy and the Bensons for as long as I can remember. They are a wonderful family and Tommy will be greatly missed. WE ARE SO VERY SORRY FOR YOUR LOSS. HE WAS SUCH A GOOD MAN. WE PRAY THAT GOD WILL GIVE YOU STRENGTH AND COMFORT. My condolences to the family of Mr Tommy Benson. May you find comfort in God's promises to wipe all tears from every eye (Revelation 21:3,4). May the memories of of Mr Tommy bring peace to your hearts during this difficult time. I'm sorry for your loss. God promises to be close to the brokenhearted. PS 34:18. I hope you find comfort in God's promise & in the many wonderful memory's you made & shared together. You have my condolences. So sorry for your loss Miss Shirley, Blane, & Craig. Mr Benson was a great man. God bless your family. We are sorry for your great loss and our prayers go out to you Shirley and all of your loving family Tommy will be missed by all of us for he was a very great man loved by everyone who knew him. We are so sorry. Tommy was such a sweet fun man. We are keeping your family in our prayers. Shirley and Family, Our thoughts and prayers are with you all. May you find comfort in the love you have for each other. I'M SORRY FOR YOUR LOSS. TOMMY WAS A VERY SPECIAL GENTLEMAN. OUR HEART FELT PRAYERS AND LOVE EXTENDED TO ALL OF THE FAMILY. We are sad to hear of Tommy's passing .Have many memories of Tommy and they are all good. Our love and condolences go to you Shirley and family. May God comfort and bless you. Sending our love to all! Praying for peace! You’ll never be forgotten, TG. We are all sad to hear of such a great man leaving us but joyful to know he left us to be in the presence of our Lord. Katie and I extend our deepest condolences. Love you all so very much. Our prayers are with the whole Benson family. He certainly enjoyed his grandchildren and greats. God be with you, Shirley. God rest his soul and comfort his wonderful family. Peace be with you all. You're in our prayers.